I have a fantastic giveaway for you today! Barbara over at GradeOnederful and I have teamed up to bring you some fun stuff. 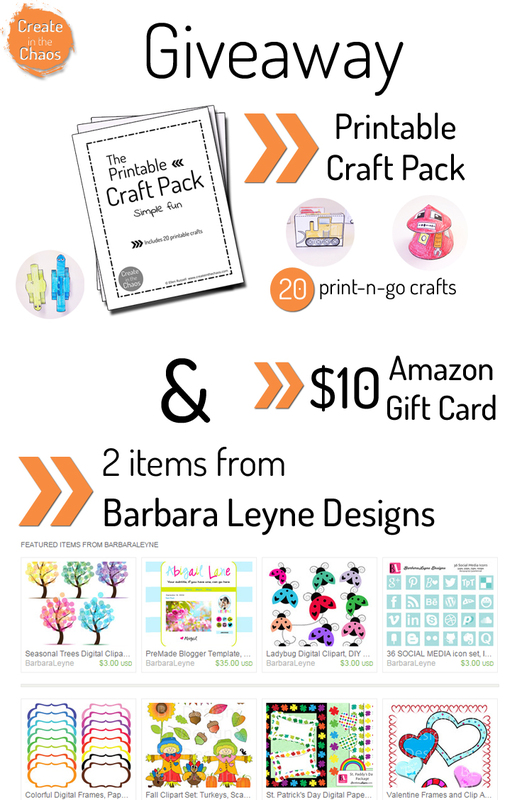 The winner of the giveaway will receive a copy of my printable craft pack, their choice of two items from Barbara’s Etsy store, and a $10 Amazon gift card. Barbara was one of the testers of my craft pack. She tried out some of the crafts with her first grade class for a geometry unit, and they loved it! You can read about the fun they had learning about geometry here. Barbara writes over at GradeOnederful about her adventures teaching first grade. I love her book reviews – I’ve added a ton of new books to my list of ones I want to find at the library for my boys! You can see the gorgeous items from Barbara’s shop here. 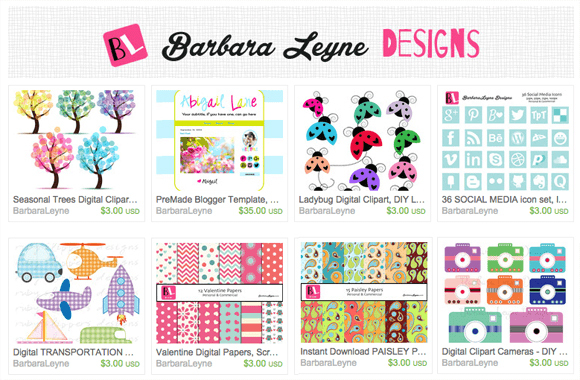 She has a ton of fun clip art, social media icons and other digital downloads. My favorite is this set of adorable owl clipart. 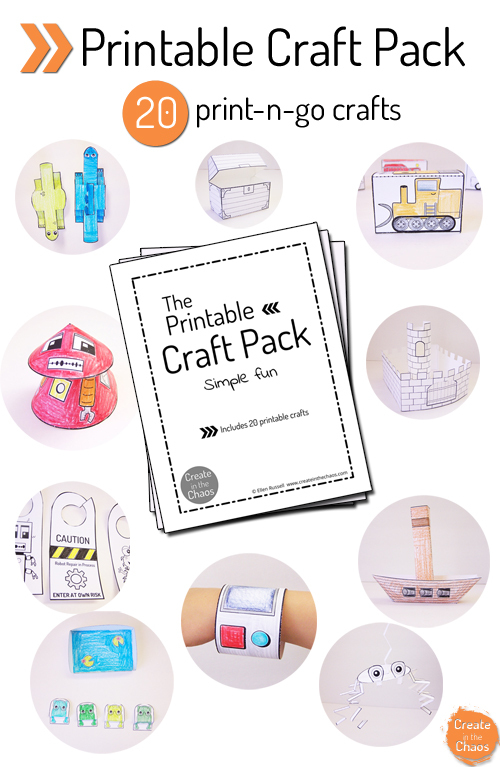 And I wrote all about the fun crafts in my craft pack last week. I’m printing off another set for my boys to use again this summer. I’ve been amazed at all the ways they’ve come up with to play with the crafts. Ready to enter for the chance to win some awesome stuff? All you need to do is sign up for Barbara’s email list and my email list. No spam (we promise!) – just get newsletter updates and the occasional fun freebie. Just remember to be eligible to win the giveaway, you have to sign up for both email lists. Then fill out the form below. The giveaway ends next Friday.